Jennifer Urezzio specializes in helping people connect -- to themselves, to e ach other and to the Divine. She founded a new paradigm, Soul Language, which provides guidance for understanding our true nature and tools for accessing deeper levels of awareness. 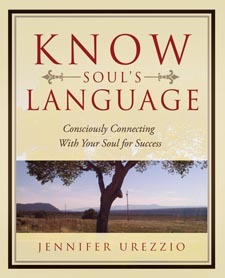 Jennifer has a new book, Soul Language -- Consciously Connecting With Your Soul for Success.